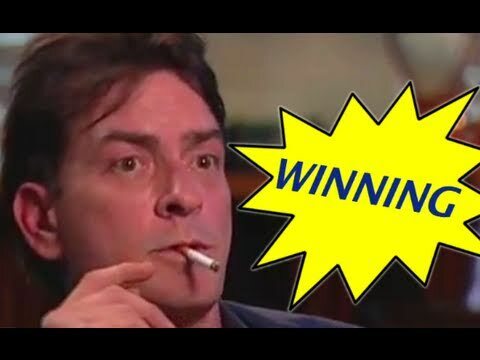 Charlie Sheen has reinforced for me one of the immutable laws of branding – The Law of The Word. If you’ve read Al Ries’ famous book The 22 Immutable Laws of Branding, you’ll remember the fifth law. This law simply states that the goal of any brand is to own one word in the consumers mind. The classic example of this is how Volvo owns the word “safety” in the consumers mind. So among all the noise related to his career trouble, excessive partying, insult hurling at broadcast executives etc, Charlie Sheen has found a word to own. With a singular focus on the word “winning”, and with some disruptive publicity to back it up, Charlie now owns this word.